1,862,364 people signed a petition against Donald J. Trump making a state visit to the UK, so he’s doing a fringe show instead. 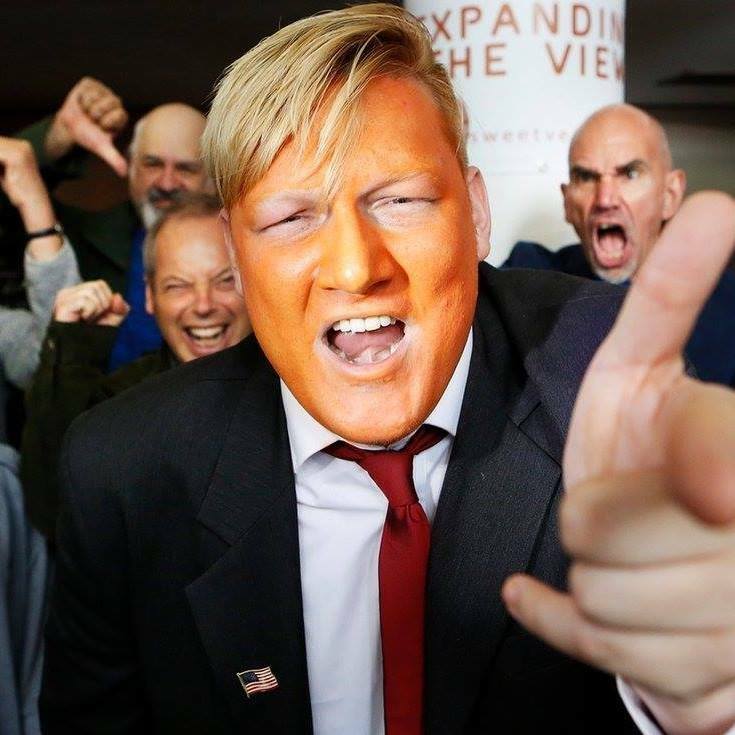 Trumpageddon first enjoyed a sell-out Edinburgh Fringe run when The Donald was a mere candidate, and he returned as leader of the free world in 2017 for a further sell-out season, as well as embarking on a UK tour and playing Adelaide Fringe 2018. Immerse yourself in Trump’s world vision before he blows it to kingdom come. Created by and starring Simon Jay, this absurdist satire is as demented, hysterical and disturbed as the man himself.